your company is safe and secure, when you successfully move into your new work or retirement lifestyle. You will find 9 reasons many owners cannot afford to sell. Can you name them? 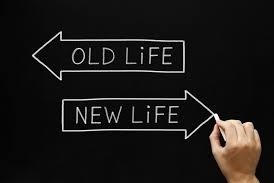 Even if you are on the cutting edge, your clients are thinking what will happen when (not if) you leave or quit. You need a succession plan now, whether you use it soon or not. All of your clients want and need to know you are taking smart steps to protect them. Connect with us, we'll walk through the 9 reasons many cannot afford to sell. You receive 16 measurable benefits before you exit your company. In addition, you get 7 more advantages when you sell. 23 ways succesion planning pays. Family businesses have 5 more ways. Call 513-266-3226 today. We will go over the benefits with you and explain how we work with you to start getting the benefits. Millions of business will be up for sale in the next ten years. That means brutally ugly completion for buyers. The huge problem is that 90% of business owners depend on the proceeds to pay for retirement. To successfully Sell and Exit HappySM, you must understand the value of your company to negotiate a good selling price. Your planning decisions set what you will get, if you can sell. I say if, because 75-85% of companies do not ever sell. They just close their doors and fade away. Being ready to sell is the biggest selling price booster, 150% more on average. Most overlook the value of intellectual property, IP that is the source of 80% of the selling price today. What it means to be ready to sell is different for small and mid-sized companies. Even if you have a sellable company, many will not sell because owners miss-price the business. The median miss by an owner setting the price is 60%. If this mistake does not spoil the sale, there are over 37 more mistakes that can kill your chances of selling. Few would try to ride a bucking bronco without first getting an experienced teacher. Trying to sell your business yourself can end in just as big of a disaster. Helping to prepare your company to sell is not my first rodeo. How "Ready to Sell" are business owners? Not many by these numbers. 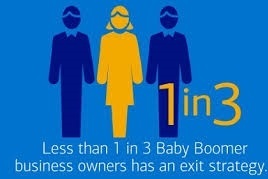 So just about everyone needs to implement and maintain a succession strategy. It's easier than you think. Setting a plan can be done in one day. We can show you how. How to get ready to sell and exit your company. Who could be your best buyer? Who is the best person to step into your responsibilities? Retirement planning actions owners should take, but rarely do. 104 tips to make exit plans happen faster and easier. Tips to Grow What Your Business is Worth. Sell Your Company at Your Best Right Price. Build a Succession Legacy Without Regrets. Sell and Exit HappySM the first six months of our coaching program free. You can get excited about the possibilities. You can take your company to the market and sell easier. You can simply use our process. Set an exit target date. You need something to shoot for. We know how to make this hard chore effortless, and free for you. Just Call. Map your trip (DIY starter goals below) to Sell and Exit HappySM including detour warnings. 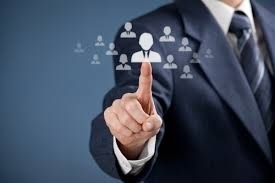 Our coaching program gives you a personal guide to the sell and exit process. Start any time. Sell the company, manage the financing term, and move on confidently. Business owners can learn why business buyers, buy. To win at selling, you need a proven process and approach. The Sell and Exit HappySM three-step process makes selling faster. And, the process works for every kind of business. Also, the Sell and Exit HappySM process shows you how to sell for 150% more on average. Get started mapping your plan. You can start DIY (Request Your Access PIN) for the tips, and you are welcome at any time to start the program with us as your guide. Or you can call 513-266-3226 today to learn why we can say these things, and start the planning process in less than 5 minutes.